You might not believe me when I tell you that the only reason I stumbled upon Arkibar Cucina is because they are located on a street with my name. You might also doubt me when I tell you that I booked a celebratory dinner with no idea what we were walking into. The only reason we ended up at Arkibar Cucina last week was because it was a celebratory dinner on a street with my name on it. I was nervous. I had googled the website beforehand, which is currently under construction. That didn't help with my nerves. I was looking for something to re-assure me that I hadn't made a ridiculous decision for the sake of a satiated ego. Soon after we were sat down, owner Susie came over to explain the menu to us. If I needed any evidence of Arkibar's authenticity, it was in the roll of Susie's r's and her effortless description of the menu and specials. That alone made everything sound delicious. We decided to leave it to the experts, and asked Susie to feed us - pretty much drop plates of food on our table that she felt were the best selections on the menu, and we could all share them. Honestly, it would have been too hard to choose otherwise. For starters, we had the crumbed olives, bruschetta and garlic bread. I generally am not a huge fan of olives, so the fact that I voluntarily had all the olives I could without being too greedy is an indication of how good they were. So good was the food that I had to be reminded to take photos for a review - I was too busy shaking my head in awe and chewing at the same time, whilst simultaneously bargaining with my stomach to make more room. 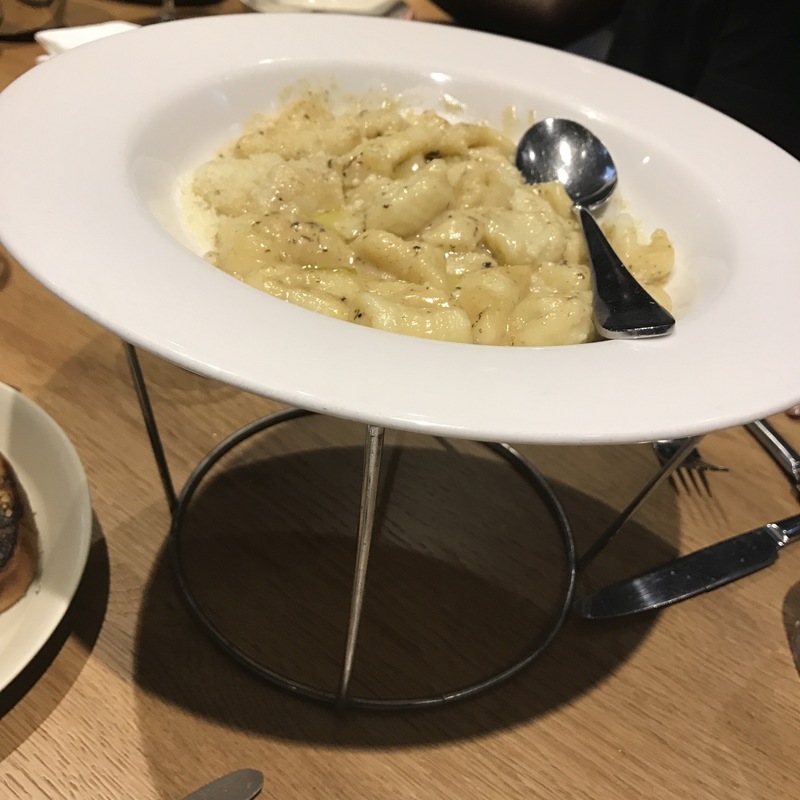 The gnocchi - let's talk about the gnocchi for a moment. Gnocchi is a hit or entirely-miss-the-mark-you-should-retire-from-cooking-forever dish. There's no grey areas with gnocchi. It's either amazing or a chewy, hot mess. Listen, we could have been eating flavoured silk, the way the gnocchi at Arkibar Cucina is set up. It was giving me buttery texture with the perfect marriage between potato and flour. No one ingredient overpowered the other, the gnocchi took centre stage as my favourite of the night. Until the rest of the pasta came out. At this stage, I can't tell you what name this pasta was given by Susie. I was too busy being angry in advance, because I wanted to eat everything in sight but my stomach had plans to be full. I didn't even remember to take a picture of the seafood pasta - it was so delicious, all I did was follow the plate around with my eyes the way you would if your crush walked right past you. Susie then told us that her husband is the chef, and he had offered us some salads and chips on the house. 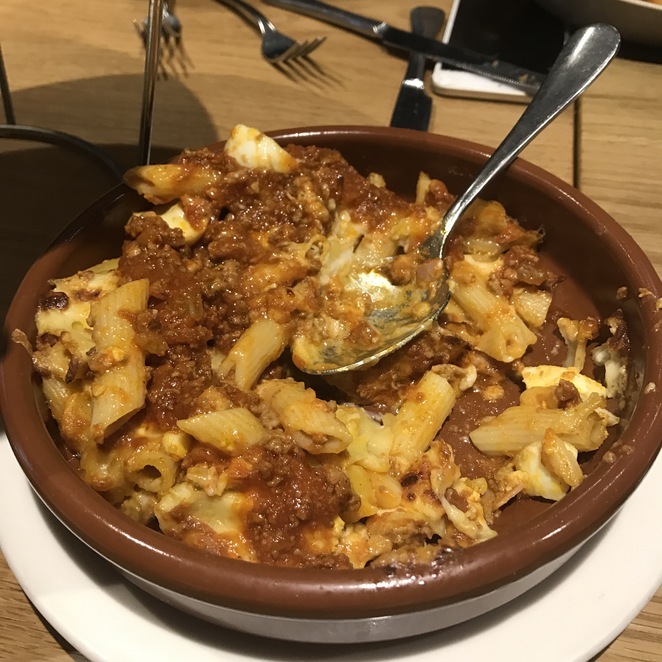 From this point on, you will have to take my word for it or better yet, get down to Arkibar Cucina and experience for yourself, because I just surrendered to the sorcery of their amazing food and not another picture of the food was taken by me. Susie's husband Raymond offered us the thick-cut chips and shoestring truffle fries to try. Again, chips are usually a hit and miss. It's rare to find a selection of both thick cut and shoestring that compete equally for best chips ever to exist. Eating those chips felt a lot like watching the Australian Open women's and men's final - WHO WILL THE WINNER BE? Just like the Australian open, it didn't really matter who the winner between thick-cut and shoestring would be. It was a historic moment regardless. I still can't tell you which of the two I prefer because quite frankly, I have never tasted a better fried potato. As if our bellies weren't already sitting in a collective state of utter fulfilment, Susie brought out the meats - tender beef in a delicious stew served with polenta, and roast lamb, thinly sliced on a bed of rocket. I am on the last leg of a year off alcohol so I didn't have anything alcoholic. My dad had the grappa and didn't stop smiling thereafter. Neither did anyone else who had it. When the bill came, we were expecting the usual confusion and hypertension that comes with splitting bills. We did the calculations and we were all collectively that lady from the IKEA ad, yelling "START THE CAR!" For the quality AND quantity of the food, what a steal. Arkibar would be a great place to go on a date or function. It really caters to all the senses. Arkibar Cucina - first of its name, king of Italian cuisine in Melbourne, ruler of my stomach and now my heart. Located on my street. What a perfect coincidence that we ended up there.